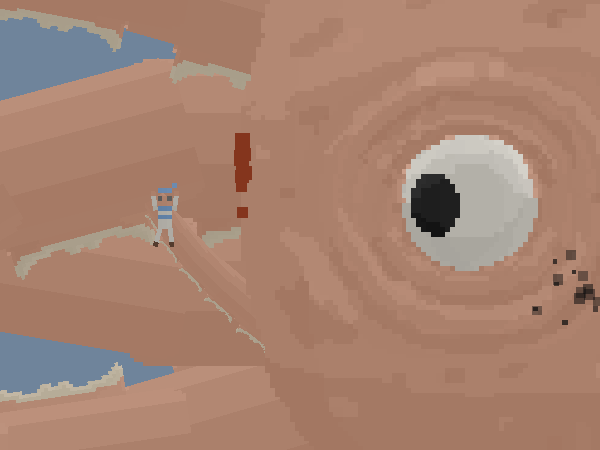 I am now making headway on dev 9 and its menagerie of monsters. I present to you the Aerial Kraken. 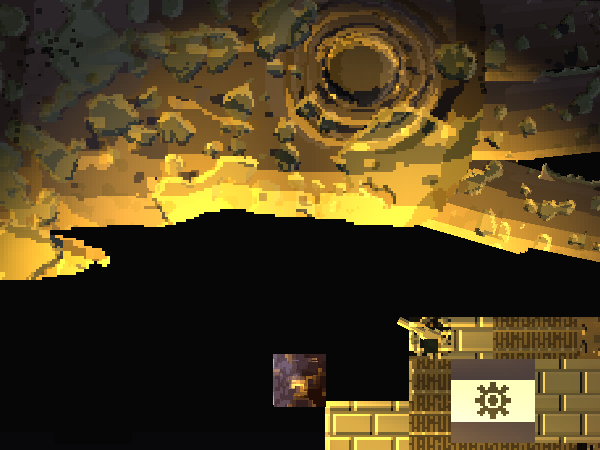 After a series of bug fix releases for dev 8, I am now making headway on dev 9 and its menagerie of monsters. 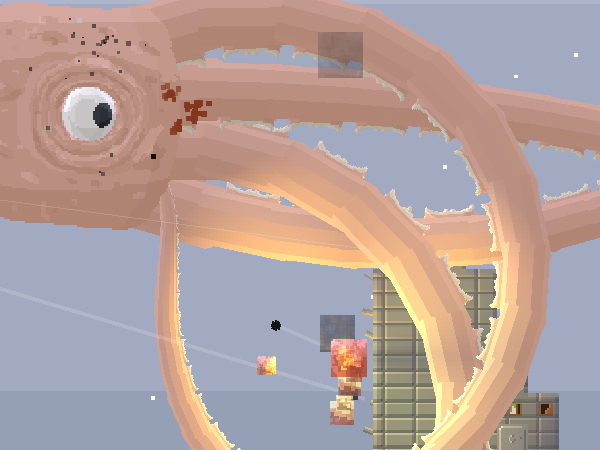 In a previous post, I showed you the tentacles I implemented for the game. 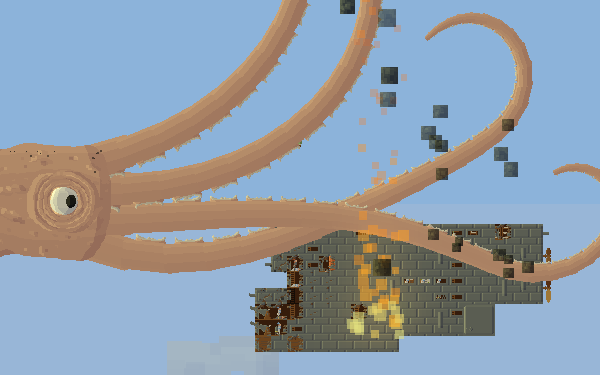 Now I want to show you how these tentacles are actually used by the Sky Kraken. The Kraken is a 120-metre-long aerial terror that descends from the clouds to snack on the contents of your airships. To it, your ships are nothing but boxes stuffed with delicious treats that need the occasional whack to dislodge more food. 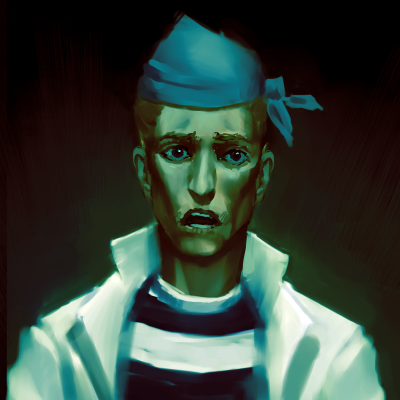 Its preferred attack is to find an air sailor, grab him, and deliver him to the Kraken's maw, where he is messily devoured. But if the Kraken can't see any sailors, the arms switch to the other attack, which is to repeatedly crash against the ship's hull until more food is revealed. Needless to say, this experience doesn't go over so well with the crew. Now the Kraken is huge, and tough, but its arms still have limited range, so if your ship can position itself out of harm's way, it may yet survive. Or you can simply throw a giant fleet full of juicy sailors at the creature, big enough to absorb the crew losses while pummelling the enemy. can we tame it and make it apart of our fleet? and perhaps arm it with guns crew it and put armor on it too?